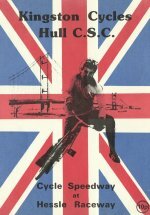 Another name change saw Newcastle Rebels now racing in the English League (North) Division 1, while the Combination (reserve) League was renamed, English League (North) Division 2. A much larger league than 1984 including the strong Manchester teams awaited. A note about scoring in Division 2. The league was designed for riders not taking part in the Division 1 match. 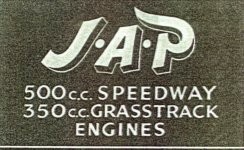 However, for various reasons, it was necessary for teams to sometimes use a rider for both meetings. Where this happened, a team was penalised the number of points scored by that rider(s) being added to their opponents total. 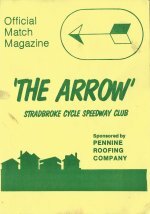 Scores are shown as raced, and, in brackets the revised scores with penalty points. R Autherson 12 D Armstrong 12 G Gibson 10 A Craven 9 R Pawson 5+2 A Moody 5. Newcastle faced a tough challenge in the first round of the Gold Cup, and despite home track advantage, fell at the first hurdle to Tameside. Manchester were perhaps one of the strongest teams ever to visit Newcastle. Their team was filled with champions from 1-8. No wonder they won as they pleased, even giving Watchman and Jones only 4 rides. 4 Manchester riders remained unbeaten. 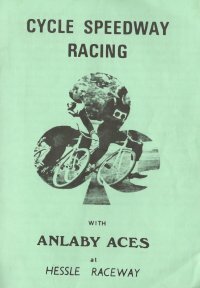 Manchester were first and second in 12 of the 18 races. S Cadman 12 M Mills 12 C Woodhall 11 P Cauldwell 5+2 D Hackett 5 N Turner 3 J Knight 2. D Lamming 15 K Oldham 15 D Yeardley 13+1 M Jacques 10+1 C Oldham 9+4 G Parr 6. A last heat 3-7 denied Newcastle any points in this closely fought meeting. Newcastle were weakened by the absence of Mick Parr. The ultra strong Manchester side thrashed the Rebels in this fixture. They were only 6 points away from a total whitewash. Mike Parr was the only heat winner for Newcastle. The normally strong Division 2 team also were hit by the Manchester whirlwind. L Bowden 16 J Davidson 15+1 J Gleeve 15+1 D Foster 12+2 J Higham 10+2 G Holingsworth 9+2. B Mills 16 D Yeardley 14+1 A Murray 14+1 D Lamming 13+1 M Jacques 10+2 G Parr 7+1. J Burke 15 C Woodall 11 J Knight 7 I Oxley 6+2 K Oxley 6+2 P Hackett 4. R Farrell 19+1 M Hammersley 19 B Eaton 15+5 P Ogden 15+1 K Taylor 13+3 (4) A Chadwick 11 D Artingstall 8+1 G Dent ? D Kenyon 14 S Pearce 14 A Jones 13 D Hammersley 10+1 A Faulkner 5+1 S Crowther 5+1. Trailing by a point after 14 heats, Newcastle sewed it up with 1 heat to go, with 2 x 7-3s and a 6-4. Stuart Anthony won heat 18 to register a fine maximum for Edinburgh. S Anthony 20 J Wallace 18+1 P Young 15+1 D Steers 10 M Baxter 7 R Grant 6+1 J Mitchell 6 J McMillan 4. Newcastle 56.5 (109.5) D Yeardley 15 D Lamming 13 M Jacques 12.5 K Oldham 6+1 G Parr 6+1 C Oldham 4. Edinburgh 63.5 (76.5) P Young 16 D Steers 11 M Baxter 10+3 R Grant 9.5+2 J Mitchell 9 J McMillan 8. M Parr 18+1 P Marshall 18 S Craig 17+1 B Mills 14+1 A Murray 10+1 D Lamming 7+1 J Wilson 6+1 D Yeardley 4. D Yeardley 15 J Wilson14 A Murray 8+1 B Mills 7 S Bird 7 D Lamming 6+2. A Schofield 13 P Schofield 12+1 D Armstrong 12 B Ashton 10+1 G Gibson 6+1 A Moody 5+1. Having beaten the Rebels away in the first meeting of the season, Hull completed the job at home. 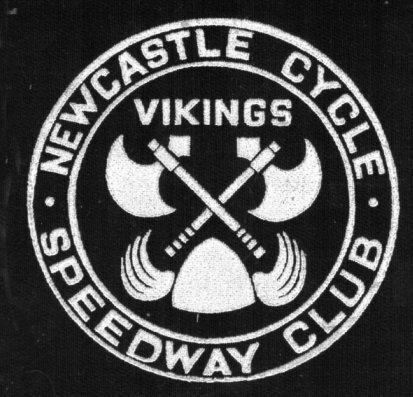 Aggregate score Newcastle 170 - Hull 186. M Webster 19+1 Martin Kent 19+1 I Clarke 18+2 D Lunn 17+1 D Kent 15+2 S Blair 13+3 A Whitworth 6+1 G Backhouse 3. A Murray 12+1 B Mills 12+1 P Marshall 11 M Parr 10+1 ? The Division 2 meeting was hit by controversy. Mick Parr having won his first two rides was excluded from heat 7, after being "fenced" by Martin Kent. Mick refused to ride again, and was banned from the meeting. Showing support, his team mates failed to come to the tapes, and Heckmondwyke rode alone for 5x 7- 0s. Mick was given a 4 match ban for his trouble. M Kent 16 P Birbeck 14 G Backhouse 14 A Ellis 9+3 D Otterwell 8+3 M Birbeck 7+1. M Parr 8 J Wilson 7 M Jacques 6+1 G Parr 6 D Lamming 5 K Oldham 4+1. With Mick Parr suspended, semi-retired Terry Kirkup took his place in a meeting Newcastle did extremely well to win. The Division 2 side also won. In a last heat decider, the team gained a 7-3 to win by 2 points when penalty points were taken into account. Lance Bates17 D Challiner 16 R Machin 14+2 D Shipley 7 M Palmer 6 N Shaley 6 C Wingrove 3. J Wilson 18 A Murray 15+1 S Craig 14 P Marshall 12+2 B Mills 10+3 D Yeardley 8+2 T Kirkup 8 D Lamming 7+2. E Thaw 16 M Palmer10+1 G Evans 9 Lewis Bates 7+1 C Wingrove 7+1 L Sherrin 5. D Yeardley 15 D Lamming 14+1 M Jacques 13+1 K Oldham 10+1 G Parr 8+3 S Bird 5. C Baker 14 M McGower 10+1 D Kendal 10 J Irvin 9 H Middleton 7+2 N Wiles 5+1. D Yeardley 16 G Parr 14 D Lamming 12+2 P Marshall 11+1 T Kirkup 7+3 J Wilson 4. P Marshall 14+1 M Parr 12+1 B Mills 12 A Murray 10+1 S Craig 9 J Wilson 9 D Yeardley 5+2 D Lamming 3. M Hammersley 16 P Ogden 15+2 T Bickerdike 15 R Farrell 14+3 D Artingstall 12+1 B Eaton 11+2 K Taylor 10+1 A Chadwick 10+1. D Yeardley 12 D Lamming 11 K Oldham 9 G Parr 8+1 M Jacques 8+1 M Heath 6. D Kenyon 15 S Pearce 15 R Hallows 12+1 A Jones 11+2 A Fallower 6+1 S Smith 6+1. 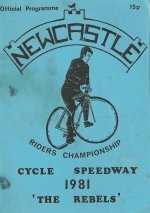 The annual Newcastle Riders Championship was held the day after the Tameside defeat. As ever, there was little to choose between the top riders but perhaps the favourite was Mick Parr. The big prize eventually went to Andy Murray with 18 points. Big surprise was Dave Yeardley's 2nd place after beating Stuart Craig in a run off. 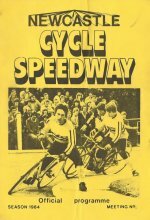 Dave had ridden mainly as a reserve in Division 1, but was a high scorer in Division 2. Stuart must have cursed his last place in his second ride as he won his other 4 rides. Dave Lamming, 4th was another surprise. Favourite Mick Parr finished well down the field with 11.5 points. J Pollard 16+1 A Airey 13+1 R Conquest 12 M Daniels 11+1 S Ellsworth 10+2 S Muff 8+1 S Green 4+1 N Johnson 4. In keeping with the design of the second division, Halifax must be commended in sending a youthful, but very inexperienced side. Newcastle went on to win all 12 heats 7-3 and finish with a total walk-over. Even debutant, Campbell McIver was unbeaten. G Parr 16 K Oldham 14+2 M Jacques 14+2 D Yeardley 14+2 C McIver 14+2 D Lamming 12+4 . C Byron 8 N Johnson 8 N Causier 6 I Johnson 5 J Conquest 5 D Ellam 4. S Craig 16+1 M Parr 16 B Mills 14+4 P Marshall 11 A Murray 10+3 J Wilson 10 D Yeardley 8 D Lamming 7. D Challiner 20 E Thaw 16 A Ankers 14 Lance Bates 10 R Machin 9+1 D Shipley 8 N Shipley 5+1 M Palmer 4. D Yeardley 15 K Oldham 13 M Heath 13 G Parr 11+1 M Jacques 10+2 J Keith 8. 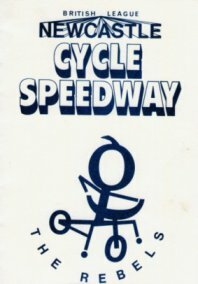 The home meeting against Castle Donnington due to be ridden on 1st September 1985 was not staged, due to the withdrawal from the league of the the visitors. Calculated average is the total points divided by number of rides x5 for Division 1, and x4 for Division 2. Keith says: Many thanks to Terry Kirkup and especially Keith Oldham in the preparation of this 1985 page.